Click/tap here to find the best North Carolina fishing charter for your needs! If you’re looking for a great day of fishing and fun, hop aboard Lucky 13 with Captain Mark Cogdell. Lucky 13 Sportfishing delivers you to some of the best offshore and nearshore fishing in Southeastern North Carolina. Whether you’re fishing for Mackerel, Mahi Mahi, Flounder, Grouper, Cobia or more, you will always remember the fun times you had aboard Lucky 13. Lucky 13 Sportfishing is situated in one of the best sportfishing spots on the East Coast and is based out of Wrightsville Beach. 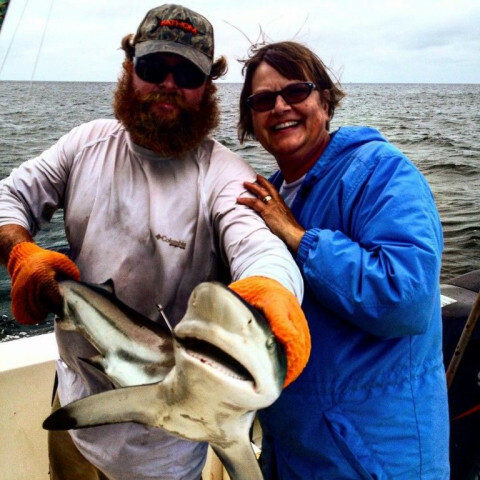 Aside from the great fishing there we also service to Carolina Beach fishing grounds, Topsail Island’s best fishing spots, and we even travel to Bald Head Island for their incredible fishing waters. Highlights: Deep Sea Fishing Charters, Custom Charters, I Like To Have A Good Time Out On The Boat As Much As My Clients, Private, Year Round Fishing Charter, Big Fish, Sight, Trolling, All Bait And Tackle Provided, Charters, Our Boat Is Gas No Smelly Desiel Fumes, Fishing License On The Boat, Spanish Mackerel, Offshore, Live Bait, Shark, Light Tackle, Nearshore, Full Day Trips, So If It Is Too Rough Out I Have No Problem Rescheduling A Trip.